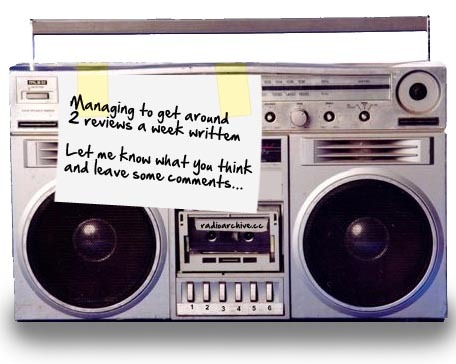 Radio Reviews › What’s all this then? This was written by admin. Posted on Saturday, January 24, 2009, at 6:32 pm. Filed under Site News. Tagged radioreviews, site. Bookmark the permalink. Follow comments here with the RSS feed. Post a comment or leave a trackback. I think this site will be essential reading for the discerning user of spoken-word radio material. This is going to be good! Well done. Well at last the work of integrating radioreviews.org (RRO) into the Spoken Word Radio Forum (SWRF) is starting to yield some results – but it hasn’t been easy because I’ve had to work things out through trial end error (mostly error!). Congratulations! Fabulous idea and just what we needed for Radioarchive.cc. I’ve missed a few great shows this month. And, I love recommendations from others. It’s chrislacruz that deserves the congratulations – he’s the driving force and the administrator of this site! With over 3,300 torrents he’s going to need some considerable input from the membership to expand the content of the site – so just have a go at writing a review and contact CLC to get it published. No excuses now! – if you can find the time to listen to the stuff then why not post your thoughts here so that other people can benefit from your listening experience.